You can pick up the Angry Birds: Red’s Mighty Feathers update for iOS here and the Mac version here. A fresh update to Angry Birds is now available for iOS and Android! Red gets his very own episode featuring new “Egg Defender” gameplay, combining Angry Birds and Bad Piggies in a frenzy of bird flinging and crazy pig contraptions! 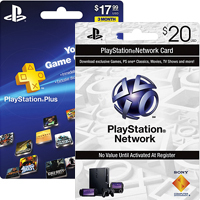 $20 PlayStation Network Card and 3-Month PlayStation Plus Subscription Bundle for just $28 (Reg. $38). A great deal considering that this membership will carryover to PS4. You can grab Battlefield 3 among others on PSN for free with a PS Plus membership starting today.